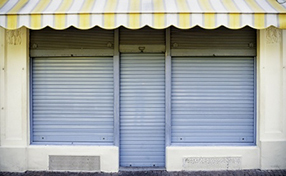 Our contractors have outstanding training and the expertise to install, replace and repair all types of storefront and roll up gates, rolling gates and security grills in New York. We are fast, experienced and come fully equipped for immediate gate repair services. 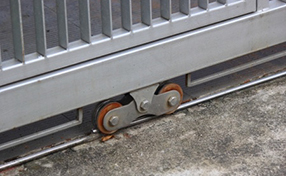 Our experience with automatic roll up and rolling gates underlines our capacity to repair them properly and install them accurately. When it comes to gates, there are no secret recipes that promise to keep them in excellent condition for a lifetime. It just takes excellence in repair services and “Gate Repair Manhattan” can promise the best! We are also aware that proper installation and regular maintenance are both vital determinants for the condition of gate systems and that's why we have gathered the most skilled professionals in New York under our roof and invest in excellent equipment. This way, we can assure our customers that our services will be carried out by knowledgeable specialists with good training and will certainly be immediate, especially if you dealing with broken gate parts. We have the pleasure to offer you excellent quality gates, repair parts, the best motors on the market and high tech intercom systems and they are all produced by the elite of manufacturers. Most of all, we have the pleasure to serve our customers with great efficiency and professionalism and offer the best rolling gates installation and repair services. We surely believe that your home system or commercial automatic one, the security grill for storefront gates and roll down door will operate better if installed properly. Consequently, you can expect excellent installation from our teams. We are trained well but also have elevated professional awareness and are fully dedicated to our work. Hence, you can be sure that we won't only install the gate properly but we will also provide the most thorough rolling gate maintenance. We certainly have specialized technicians but also exceptional technical infrastructures to support our work. When parts break or are worn due to their constant exposure to elements, you can trust that our crews will fix them fast. We surely provide replacement services and promise to remove the old rolling gate carefully and proceed with the installation of the new one. Our service will ensure the great operation of the system for a long time and, thus, your property will be secured and you will be safe. You can have confidence that we will support you during emergencies and trust the expertise of our Gate Repair in Manhattan. For more than 20 years, Ramset has been making electric operators for sliding, swing and overhead gates plus accessories for their use. The company was established back in 1994. Its headquarters are in Manhattan, New York. The company’s opener range includes devices with different capabilities. There is a choice between 0.5, 0.75 and 1 horsepower with the Whisper Quiet motor. The company specifies the maximum gate weight that an opener can bear. The most powerful sliding gate operator can handle a unit weighing up to 3000 pounds. For swing units, the absolute maximum is 1200 pounds. Notable features of the Ramset electric operators include clamp release and convenience power outlet. Every device made by the brand can be paired with a matching battery backup system that will enable its operation in case of a power outage. The accessory range of the brand includes control boards, key switch boxes, power inverters and fire access boxes. 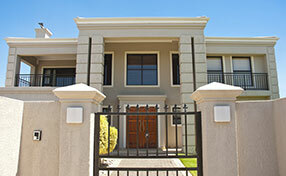 We have gate specialists who are experienced enough to install your driveway gate and entry gate. If you are interested in a new intercom system for your gate, we can expertly install one for you. We offer affordable and efficient gate services. You may think that quality service is too expensive. This is not the case when you turn to us for your needs. We offer high quality services at affordable prices. The reason we are considered the most reputable gate company is because of the quality of service we offer our customers. Swing hung systems need lots of space. Whether inwards or outwards you will need to have space in order for the usually two leaf gates to open. Who is the Worst Gate Enemy? Enemies are usually identified by the damage they cause and a quick look at your automatic rolling gate will certainly give you a hint. Ensure that your security gate is always up to the task of protecting you by seeing that it is always properly maintained when it needs to be.